Fox's Women's World Cup coverage has a more international flavor this summer. After a rough start at first, Fox improved on their coverage and finished their 2015 Women’s World Cup coverage on a high note and broke viewership records along the way. Fox’s first World Cup was ultimately deemed a success, as their dedicated a similar amount of resources to the Women’s World Cup as they did three years later with the men’s World Cup. And with the majority of games being on network Fox or FS1, the Women’s World Cup was given a platform that it not only needed, but a platform it deserved in this country. Four years later, Fox is gearing up for its 2019 Women’s World Cup coverage. The network already revealed that 22 of 52 matches will be on network Fox, along with 27 others on FS1, and that JP Dellacamera and Aly Wagner will be the lead broadcast team. With 78 days until the start of the tournament, Fox revealed the rest of their on-air talent. Here are the four other broadcast crews for the tournament. Derek Rae and Danielle Slaton. Like Dellacamera, Rae is a soccer broadcasting legend calling just about anything and everything across the soccer world, while former USWNT star Slaton is now with Rae after partnering with John Strong in 2015. Strong is likely going to be on MLS and Gold Cup duty, which will take place during the Women’s World Cup. NWSL and ESPN basketball play-by-play person Jenn Hildreth and Minnesota United analyst Kyndra de St. Aubin are teaming up again to form an all-female crew that got rave reviews four years ago. Big Ten Network’s Lisa Byington joins the crew for her first World Cup and is paired with former USWNT defender Cat Whitehill, Fox’s second all-female crew. Rounding out the broadcasting setup will be Houston Dynamo play-by-play person Glenn Davis, who is back with Fox for his seventh World Cup, and with former USWNT midfielder Angela Hucles, who had primarily been in the studio in 2015. In the studio, Rob Stone and Kate Abdo will return and share hosting duties, just as they have done in 2015 and 2018. They will be joined in the hosting chair by Undisputed moderator and college football and basketball reporter Jenny Taft. 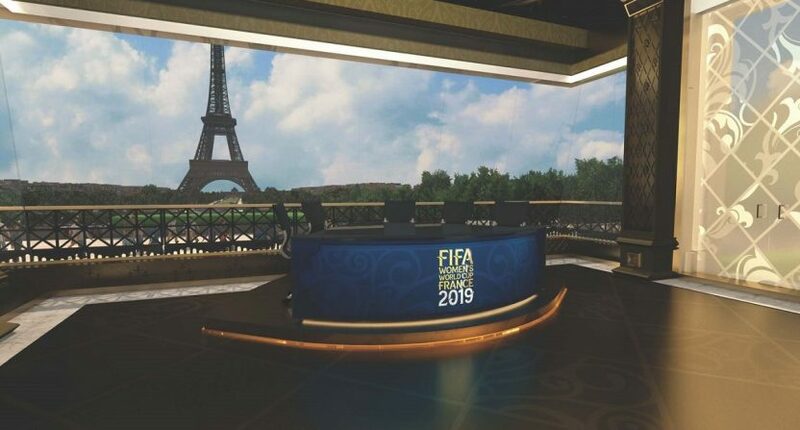 There will be more international representation in the studio for the 2019 Women’s World Cup than four years ago. England’s Kelly Smith and Germany’s Ariane Hingst are back, and will be joined by former England and current Juventus striker Eniola Aluko and Australia’s Kate Gill. On the American side, Fox regular Alexi Lalas will be in France, while Leslie Osborne returns after being in the studio in 2015. 2015 World Cup winners Heather O’Reilly and Christie Rampone also join Fox’s coverage, and they should bring an insider perspective on how the USWNT is playing, given that they played with many of same players who will be on the 2019 team. This might result in a fear to criticize players and coaches who may be friends, but O’Reilly seemed fair in her critique of the USWNT during their struggles in the SheBelieves Cup, so that might not be an issue. Additionally, Fox is embedding Fox Sports West reporter Alex Curry with the USWNT, while Grant Wahl will serve as a reporter-at-large and FIFA referee Christina Unkel will work as Fox’s rules analyst during the tournament. With more international analysts in place, Fox has a backup plan for 2019 in case the USWNT crashes out early. Much of the ratings success in 2015 was due to the USWNT marching their way to victory in the World Cup Final over Japan, and Fox focusing their coverage on the American team would be a no-brainer to attract more viewers. But there are 23 other nations involved in this tournament, and there are only so many minutes you can talk about the USWNT.